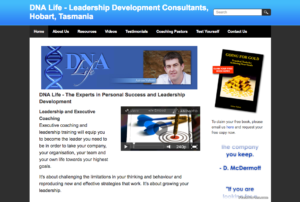 A selection of outstanding business coaches in Australia who can help you to grow your business to be profitable, successful and enjoyable. They believe in success, which has a unique meaning to everyone. Success requires determination, which is self-discipline in action – the courage to think, the courage to plan, and most importantly the courage to act. 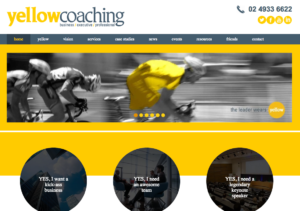 Yellow’s business consulting, mentoring and education will provide you with guidance, support, encouragement, strategies, tools, and accountability to get you the success you’ve always wanted in your business. Adrian is a professional coach who is committed to assisting his clients to achieve their maximum potential, whether it’s in their personal or professional lives, and has a vision to impact people’s lives and assist them in fulfilling their destiny. 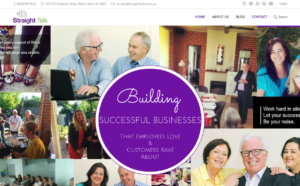 Their philosophy is to support clients and their businesses with passion and integrity, and to continually be looking for ways to improve their results….. just as any other valued member of their team would. Programs they offer include one-on-one coaching, group coaching, marketing support, financial consulting, and much more – in any number of combinations. 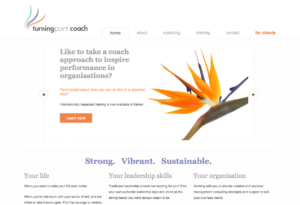 Working with you to provide creative and practical management consulting strategies and support to suit your business needs. Finding creative solutions to long standing and complex issues, align corporate processes to meet today’s challenging business environment, and deliver real outcomes and associated changes in organisational cultures. Focussing on clearly linking human resource and corporate initiatives and systems to organisational values and directions in realistic, visible and cost effective ways. 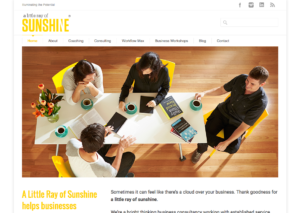 A Little Ray of Sunshine is a business consultancy working with established service delivery businesses that choose to be holistically great. Their reason for being is to illuminate the potential and raise human spirit within individuals, so you may be great in business and achieve greater good.